Moving to San Juan Capistrano? 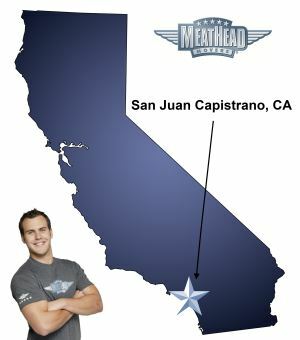 For a trouble-free move to San Juan Capistrano, Meathead Movers is the company for you! Our professionally trained student-athlete movers are ready to get you into your new San Juan Capistrano home. What are your reasons for making the move to San Juan Capistrano? The annual return of the swallows to build mud nests and enjoy summer in California’s most famous mission is a large draw, but the hiking, biking and equestrian trails hold equal appeal. Then again, perhaps the lifestyle of a town in which the majority of restaurants are family-owned and operated provides the greatest charm. Regardless, there is something for everyone to enjoy in San Juan Capistrano. No matter the reason, stressing about your move can detract from enjoying the first days in this delightful area, so you need to select the right San Juan Capistrano movers to avoid these unpleasant stresses. At Meathead Movers, we aim to make your move as smooth and easy as possible. We specializes in local, long-distance, and commercial moves to, from, and within San Juan Capistrano. We are here to help you with all your moving needs, so we are also proud to offer many other services as well. All our customers have access to their complementary moving concierge service. Your personal concierge helps you find the best service providers possible. If you need babysitters, cleaners, real estate attorneys, or any other service, we will connect you with the best service providers in the area. If you need help packing your possessions our sister company, Princess Packers, will carefully and safely pack away even your most fragile items. We also offer an on-site moving service for those who want to arrange their own transport, but still need a few extra hands for loading and unloading their truck. Our superior service starts out with our movers. They are student-athletes who jog whenever their hands are empty. There is also a main Meathead Difference: If a mover hasn’t attended Meathead University, they don’t move your belongings. It’s that simple. If you’re moving to San Juan Capistrano, you’ll enjoy living in a piece of history with approximately 35,000 others. With our 100% satisfaction guarantee, the only thing you have to lose is the stress that comes from moving! So contact us today for a free no-obligation moving quote and to learn how we can help you on your next move! Moving to San Juan Capistrano? Here are some helpful resources. Moving from San Juan Capistrano? View more San Juan Capistrano resources. Joel and Weston were great! Nice, friendly guys, really jogged, explained everything before and after the two moves, and the six young men were well groomed, clean, and nicely dresses. I enjoyed thr Mentor, Stud, and Meathead t-shirts. timely, professional, understanding and CAREFUL movers!